markets and more works in cooperation with excellent partners. Our business partners gain from our Know-how and global market expertise on the network. In association with the BVMW federal union medium-sized enterprises, the German business Confederation e.V., we offer an excellent network of approximately 270 000 medium-sized enterprises as well as an Indian Network with high-level Know-how and longstanding expertise. In addition to this, we do cooperate with the IBWF Institut e.V. (the Institut of business consulting, economic research and promotion e.V.) the largest interdisciplinary and comprehensive consulting network for business consultants, lawyers, tax consultants and medium-sized business auditors. 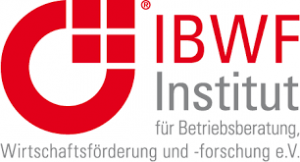 The IBWF works in alignment with the BVMW, IBWF e.V. Mrs Silke Wöhrmann, personnel developer, instructor, consultant, lecturer, founder and managing director of APT Marketing for education developed our highly successful balance seminars. 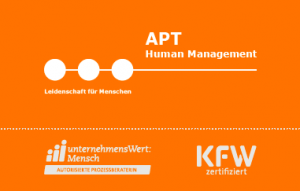 For more information about Silke Wöhrmann and Ellen-Tosca Kokaras-Tantzen: APT refer to: Human Resource Management. markets and more and the BVMW India cooperate with the association Don Bosco Mondo e.V. in Bonn. The association supports deprived children and teenagers worldwide. Their main target is to combat poverty through education and to substantially promote development and progress. As a matter of fact, several educational projects have been organized in India, too, and as a consequence, a lot of street children and children from poverty-stricken families have gained access to education, with emphasis on vocational training. Through this association, we have been able to create an interesting opportunity for collaboration between middle-sized companies, which have already established or are in the process of constructing on-site locations for those children promoted by Don Bosco Mondo, and are therefore looking for qualified junior employees with individual vocational training. Different enterprises, together with experienced consultants of Don Bosco Mondo, establish new partnerships with Don Bosco’s Salesians, who educate and train skilled and well-qualified personnel for the future. Through this association, markets and more and the BVMW India contribute essentially to a sustainable strategy and the future of the education for young children and teenagers in India. At the same time, the association provides access to the education network of Don Bosco Mondo for enterprises and corporations. Businesses seeking to find young employees in India and wishing to create vocational training positions are invited to get in touch with us anytime. To: Don Bosco Mondo e.V. Markets and more and the enterprise Elga Biotec in Hamburg are both internationally active in the area of consulting, focusing on the associations between German and Indian businesses, with Elga Biotec putting more emphasis on sectors such as Life sciences, pharmacy and biotechnology. While markets and more puts into practice marketing measures for German and Indian corporations and finds distribution partners, Elga Biotec supports and assists companies with their well-developed network in India and Germany, in their search for the ideal cooperation partners, particularly in preclinical R&D projects, analysis for Bio-IT, product manufacturers, clinical research projects, licence customers and innovative technologies. The Indian biotechnological and pharmaceutical industries are nowadays very well organized sectors with a yearly turnover of over 12 Billion $ and an expected rate of growth of up to 9%. The biotechnological industry is a very recent internationally oriented industrial sector in India; nevertheless, it already displays a dynamic rate of growth of 25%. To: Elga Biotec. markets and more cooperates with the Forum Institut for Mangement Ltd. on the grounds that they mutually focus on Life Sciences. The enterprise was founded in Heidelberg, in 1979, and organizes training sessions for skilled personnel and executives in management, administration and other organizations. Apart from industry-specific events, among others for the healthcare industry, insurances, banks and energy sector, the Forum Institute also imparts functional knowledge from finance and accounting, covering the IT management and industrial property rights, law, personnel, marketing and distribution. A particular focal point within the enterprise constitutes the pharma- and healthcare department, which offers a wide range of special events for the medical product- and medical technology industry. To: Forum Institut for management Ltd. Our first corporate joint projects can be found here.